Hey there creative, or friend/relative of a creative. Christmas is right around the corner and you’re probably wondering what you will get everyone. If you know someone who loves to create whether it’s via a side hustle, online business, or unique hobby, it may be hard to settle on a useful and meaningful holiday gift for them. As a creative online entrepreneur myself, I know firsthand that gift cards don’t always do the trick when it comes to providing a memorable gift that will be cherished long term. That’s why I created this list of 10 affordable holiday gift ideas to excite and inspire your favorite creatives. Where would I be without my morning coffee? It gives me that extra kick I need in the morning to get productive and crush my goals. Your creative friend might enjoy a unique coffee mug to add to their collection or even to decorate their workspace when they’re not enjoying a cold brew or their favorite latte. You can find great coffee mugs in almost any store and you can even consider customizing the mug with the person’s name, the name of their project, or just some positive words. I’m obsessed with this handmade unicorn mug from Uncommon Goods. Speaking of coffee, this cold brew coffee maker is a must for anyone who prefers their caffeine nice and chilled. It’s super convenient and allows you to brew your coffee and serve it in the same small pitcher. Working on blogging or virtual assistant projects can be fun, but it often involves a ton of sitting which isn’t the best option for your health. Sitting on a stability ball at your desk instead of a chair can help improve your posture and get your core to do more work as you hammer away at the computer. You can simply purchase an exercise stability ball or one of these cool chairs in the color of your choice from Amazon. Creatives love and thrive on flexibility but they also love structure and organization. I refer to my planner for almost everything and it helps keep me sane. I’ve been using the Simplified Planner for over 4 years and it helps you document your day in hourly increments which is great for productivity. It helps a ton to be able to write your schedule out ahead of time, color coordinate tasks and special events, plan out your meals, and more all with a stylish planner. Most people don’t drink nearly enough water throughout the day. Drinking more water can allow you to feel more hydrated, improve digestion, and possibly even aid in weight loss. For any busy creatives on your holiday gift list, consider grabbing an infuser water bottle that they can use at home or on the go. This bottle from Amazon is BPA free, comes with a lifetime warranty, and allows you to create your own flavored water by infusing it with fresh fruit. Creative entrepreneurs live, love, and work by the passions that drive them but it’s easy to get overworked and stressed out. As a result, we put off time and energy for important things like self-care. A yoga mat is not a super common gift but it should be, especially for anyone who’s looking for relaxing workouts that involve stretching and toning. Yoga is a great way to help beat stress and increase levels of creativity. Essential oil diffusers are the best! They help improve your home’s air quality and release some pretty great scents as well. Horoma is one of the best brands because their products are well constructed, noise-free, and long-lasting. You can also pick essential oils to put into the diffuser including scents like lavender, tea tree, orange, peppermint, and rosemary. This is a great gift for someone who works from home. If you’re on a budget this year, consider grabbing an adult coloring book as a holiday gift. Amazon offers a wide variety of options and they’re all around $5. Coloring may sound a bit childish, but that’s why adult coloring books are a thing. They help you relieve stress, channel your energy, and create some inspiring art. A good quality pair of headphones can go a long way. Apple earphones are some of the best and these will be great for a creative who spends a lot of time at coffee shops or listening to music while they work. Music has been proven to help with productivity and focus. There are tons of productivity playlists on YouTube and iTunes to check out. You may even want to pair the headphones with a iTunes gift card. What better way to say you support someone’s creative business or side hustle idea than to provide them with the gift of web hosting for their new professional website or blog? 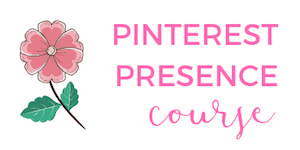 Starting a blog changed my life and allowed me to launch a business I love. I love interacting with all the people I’ve met as a result of starting this blog. 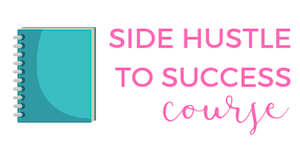 Starting this site also helped me feel more committed to my goal to share my experience of trying to make extra money and have a creative outlet to do so. The best part is that purchasing web hosting doesn’t have to be super expensive or difficult. 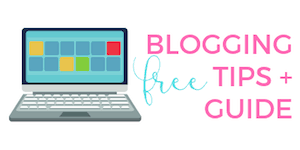 My step-by-step tutorial guide shows you how to start your own blog or website in just minutes with hosting that costs less than $3 per month. 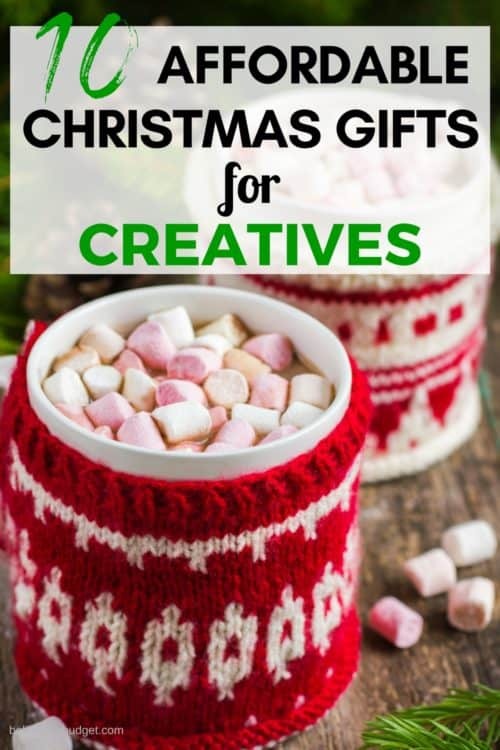 That wraps up my top list of budget-friendly holiday gift ideas for your favorite creatives. I hope I left you with plenty options to choose from so you won’t be stumped this year while shopping. I can honestly see myself enjoying many of these gifts so I know your loved ones will love them as well. Which one is your favorite gift from the list? Do you have your holiday spending budget in place yet? I love every single thing in this list! You can’t never go wrong with a cute mug.